The 10th anniversary of my advanced ovarian cancer diagnosis was October 3rd. After learning that I had a 10-20% chance of survival, ten years later I am not only alive and well, but thriving. One of the reasons Gary De Mattei and I founded REAL was to share everything I learned during my personal experience beating an aggressive, deadly disease. There is much to celebrate – including REAL’s 5th year anniversary since launching in July of 2011. We have published an article available for free on the REAL website called The Cancer Diagnosis: Taking Charge of Your Health and Healing. It’s a comprehensive piece that covers the many beneficial things I learned during my cancer treatment along with newer findings I have discovered in my ongoing research. It includes links to resources and our list of REAL cancer-fighting recipes. 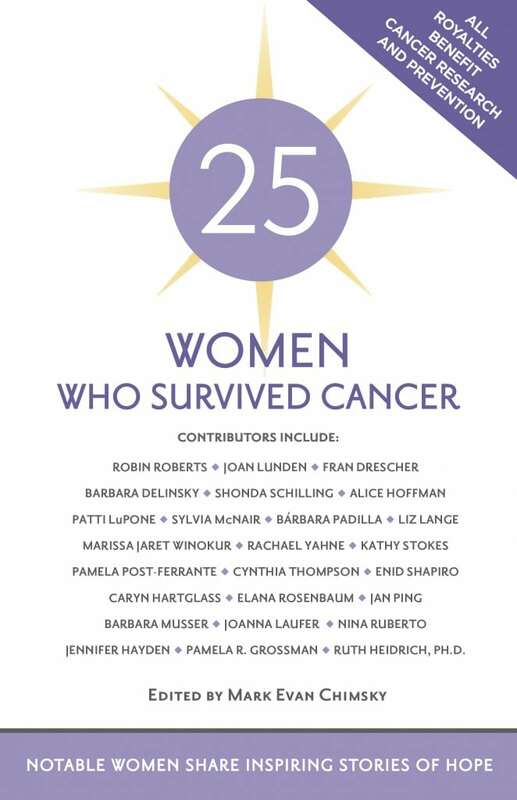 In addition, I am honored to be included as a contributing author in a new book released on September 13 entitled 25 Women Who Have Survived Cancer: Notable Women Sharing Stories of Hope. It’s an inspiring collection of personal stories about how to cope with, and prevail over, cancer. The book includes essays by Robin Roberts, Patti LuPone, Joan Lunden, Fran Drescher, Liz Lange, Barbara Delinsky, Shonda Schilling, Bárbara Padilla, Sylvia McNair, Marissa Jaret Winokur and Ruth Heidrich. All royalties from the sale of this book will be donated to cancer research and prevention. When you make a year-end contribution to Responsible Eating And Living you will receive a copy of this book, which I will personally inscribe. REAL is expanding our reach by working together with other organizations, sharing our knowledge, materials and information. We were once again invited to be a part of the 2016 Food Revolution Summit with John and Ocean Robbins, providing REAL recipes and healthy eating tips for each of the 9 days of the event. I was an invited speaker at the Conscious Life Summit, an online experience featuring experts in a variety of fields with messages that enhance living a conscious life. These were opportunities to share REAL’s mission with a new audience of people interested in learning more about the benefits of a plant-based lifestyle. REAL continues to offer free one on one support to those in a health crisis. As a survivor, I know how confusing and frightening a cancer diagnosis can be. I was fortunate to have knowledgeable experts in my corner, who helped me make informed decisions regarding my treatment and care. Sharing resources and options that worked for me with those who are interested and in need, is my way of showing my profound gratitude. In March, I was given a press pass to attend the FoodBytes! Summit in Brooklyn. This Rabobank-sponsored event has a mission to bring together new ideas in food, innovation, and technology, that will accommodate the increased demand for food, changing consumer preferences and the need for sustainable food production as well as to help spur the leaders and technology solutions in addressing these global food challenges. Now when the concepts “sustainable food production” and “increased demand for food” come together the best solution, and only solution in my opinion, is growing plant foods organically. Unfortunately many who are passionate about these concepts don’t want to give up their taste for flesh and they look for ways to support the cruel and unsustainable practice of raising nonhuman animals and their byproducts (meat, foul, fish, dairy, eggs) for food. At a FoodBytes! event you’ll find companies producing plant food products alongside others making nonhuman animal products using trending vocabulary to satisfy investors that want to feel good about the future while capitalizing on it, and consumers that think they are getting something healthy for their families. In other words, some of the “sustainable” new food products are really good and others, not so much. 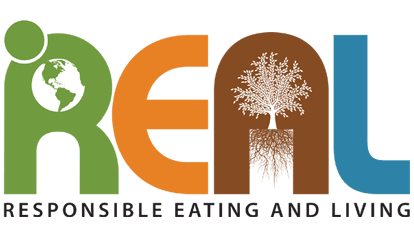 In September, I was invited to represent REAL at the EATx conference at the United Nations entitled Urban Food Systems: The Nutrition Challenge. It was an important opportunity to engage with prominent experts from government, academia, the private sector, the UN and civil society addressing food-system challenges. People discussed the importance of reducing food waste and improving healthy food access in impoverished areas, but nothing was said about reducing animal food consumption or eliminating factory farming. I left the both events feeling frustrated, yet inspired to get back to work, knowing that what we do at REAL is critical for humanity’s future. I’ve always loved numbers and the story they tell. In the following chart you can see how our audience continues to increase. We have had over 200,000 site users this year! 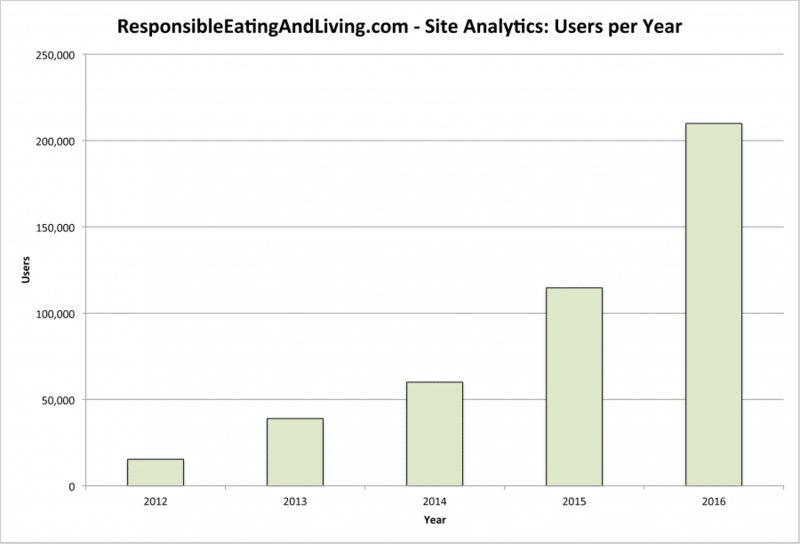 The next chart depicts how often people have used the REAL site on a daily basis since 2012. The past year show a significant increase over the prior years. Our mission is to advocate for healthy food and healthy living. Looking ahead to 2017 we’ll be busy providing more resources and tips to promote excellent health and improve the environment. What we offer is empowering, truth and tools that you can use in your own life. Food and lifestyle sustainability are essential for our future. At REAL we believe we can make a difference every day with the food we eat and the purchases we make. We do not need government regulations to choose plant-based diets and sustainable lifestyles. We can do that today and the impact is REAL. Responsible Eating And Living is here to make it easy and delicious. Thank you for your support. P.S. We love hearing from those who benefit from the work we do at REAL. I am delighted to share a small sample below. Hi Caryn, how can I listen to your show? Is it daily or weekly? My motivation and goals are losing weight and not eating meat because I love animals. My concern is getting the oils and vitamins etc that are essential for a 64 yr old. I have bought many many supplements over the years and never like taking them!! Some would make me gag. Nice to hear from you! 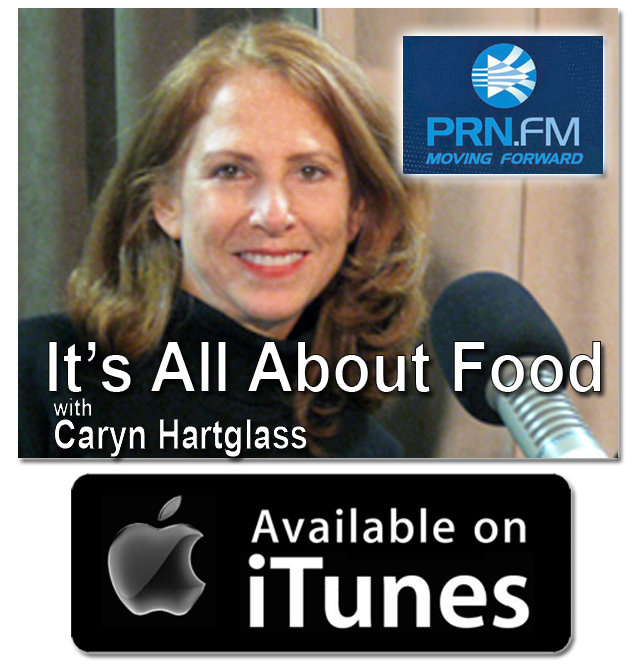 My radio show on prn.fm is every Tuesday at 4pm ET (1pm PT). All my shows are archived and transcribed. There are over 7 1/2 years of programming! Most of the content from all of the programs is quite current and useful. You can listen to any of the archived programs at the RADIO tab at this website – https://responsibleeatingandliving.com. We are always happy to hear from an animal lover! There are many programs by doctors and nutritionists on this site that talk about dietary needs. 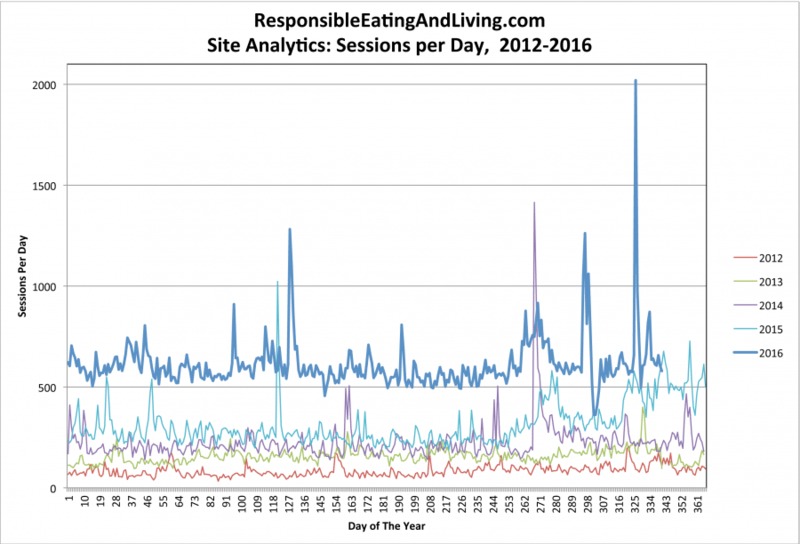 You can see what we are eating everyday in our daily blog, What Vegans Eat. It is easier than you think.